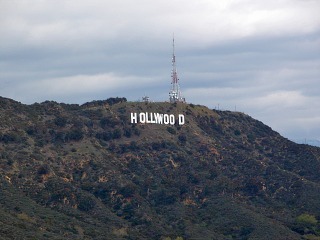 click photo to enlarge This picture of the Hollywood sign is taken from Mulholland Dr.. Karen's sister as in town visiting and wanted to see the Brea Tar pits so we made a few stops on the way to the pits. The sin was erected in 1923 to advertise a new housing development called Hollywoodland. click photo to enlarge Our next stop was in Hollywood and of course no trip is complete without seeing the hand and foot prints of the stars. Or for that matter even a Governator. 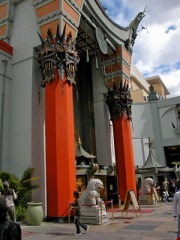 click photo to enlarge This is the famous Grauman's Chinese Theater where the hand prints are. 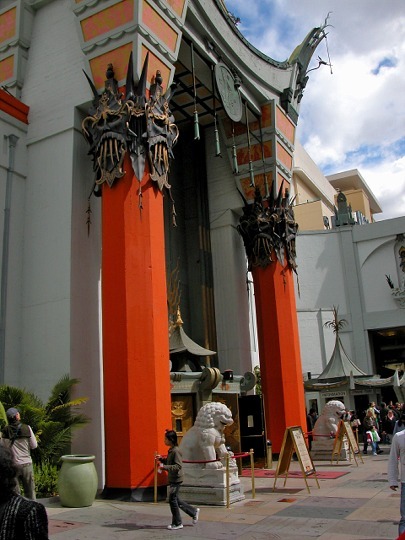 This theater in the 1940's used to host the Academy Awards and it has shown more movie premieres then any other theater in the world. 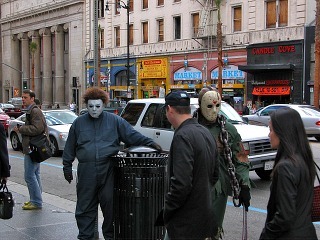 click photo to enlarge Out on the walk of fame there are all kinds of characters walking around to have your picture taken with. 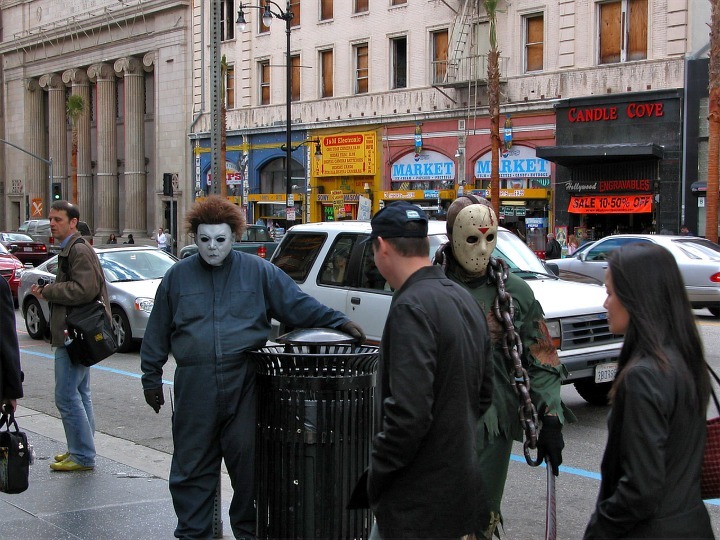 There was Batman, Superman, Freddie Kruger and even Elvis was there. 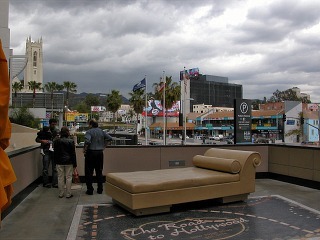 click photo to enlarge This is at the new Kodak Theater complex and is the road to Hollywood, the Casting Couch.